Giant T-rex Super Shape Foil Birthday Balloon, 31"
* Giant T-rex Birthday Balloon. 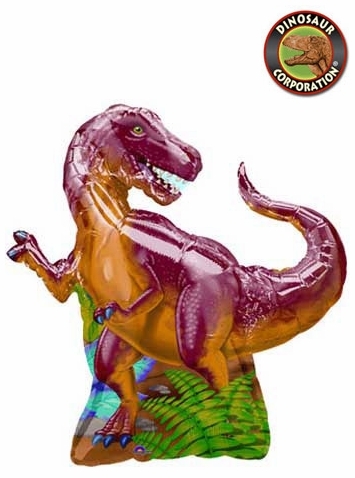 * T-rex Super Shape Foil Balloon is 29" x 31" / 74 cm x 79 cm. * A perfect dinosaur theme party decoration.